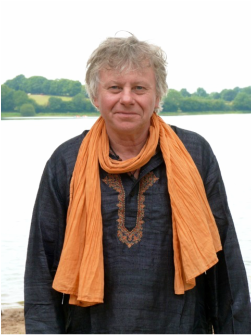 BEAR FooT DOCTOR ® In Step With Nature - BearFootDoctor Colin Perry is a Naturopathic Podiatrist specialising in holistic gentle treatments. He is based at the Mount Row Foot Clinic in Guernsey. at the Mount Row Clinic on the beautiful Island of Guernsey. 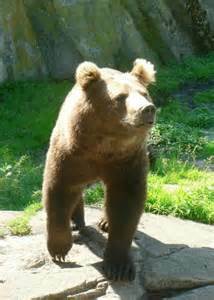 We provide a wealth of natural treatments not just for bears (they are now few and far between in Guernsey), but for people with painful paws, joints and aching muscles. TELEPHONE 01481 721411 and make an appointment. BEAR FooT DOCTOR ® essentially symbolises the very ethos of our practice. Many years ago, Ancient Shamanism believed that the Bear was a very special animal. "Bear Medicine" evolved from studying the natural attributes of this fascinating creature. Such philosophy taught the Shaman the need to be both thoughtful and introspective. Only through quiet contemplation and meditation can we find the ability within ourselves to answer questions and come up with wise answers. By using the skills of Strength, Introspection and Knowledge, we can naturally assist our patients to heal and walk in harmony and comfort and keep in step with nature. "I can now play 9 holes of golf pain free, something I thought I would never do again after my injury!" Kindly note that BEAR FooT DOCTOR ® IN STEP WITH NATURE is a registered Trade Mark. Any unauthorised usage will automatically breach Copyright Law.